The war in which we are engaged, and not engaged, against the jihadis here in the United States is a very different kind of war than most Americans are accustomed. In this war, battles are lost at local town councils, in the media and school classrooms, and, sometimes, in state legislatures. So it is with this week’s story out of Florida regarding Andy’s Law, named after Private Andy Long who was killed by a jihadi named Abdulhakim Mujahid Muhammad at an Army Recruiting office in Little Rock, Arkansas in 2009. 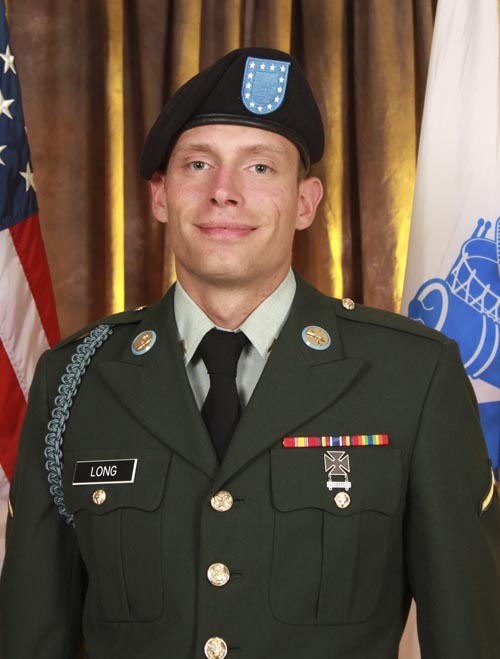 “Andy’s Law stiffens criminal penalties for terrorism and material support for terrorism. Andy’s Law passed three committees in the Florida Senate, two subcommittees of the House, and a full committee of the House without a single opposing vote. It then passed the full Senate 35-0. Then House Speaker Steve Crisafulli killed it. Crusafulli is a Republican. UTT encourages its readers to remember, this is a national security issue not a political one, and Republicans by and large are as poorly informed on the Islamic threat as their Democrat colleagues. Andy’s Law is a strong law that all 50 states should enact in light of the weak federal government response to the jihadi threat in the United States. Citizens can not trust their state leaders to do the right thing. We the People are the government and we need to ensure our representatives do what needs to be done to aggressively pursue this enemy. 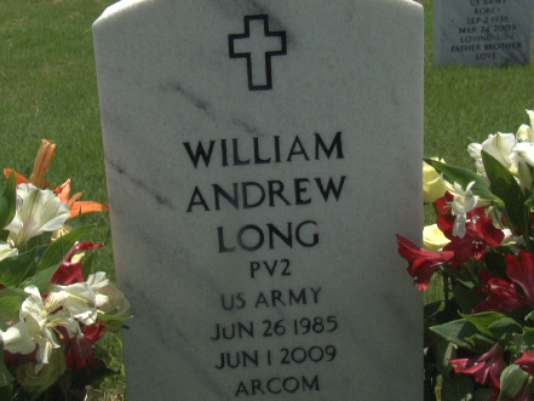 If we are to honor good men like U.S. Army Private William “Andy” Long, we need to legislate laws like “Andy’s Law” that do just that. Keep up the good fight John and UTT. May God bless and protect us all. Its also a subtle two-front war of attrition, consisting a) of weakening & exhausting the resolve of the American people to exercise their unalienable right to free speech, thus stand up and fight for their literal survival, and b) of basic demographical differences vis-à-vis moribund birth rates in the West as opposed to a triple increase every twenty years among Muslims who by routine cohabitation within the third degree of consanguinity risk creating a global population of malleable morons who perforce must rely on jihadist operatives to tell them precisely what to believe and how to act with respect to their treatment of others. Andy’s law is a step in the right direction , but it is not enough. We need to recognize the fact that Mohammed, when he invented Islam, perverted religion into political ideology. He took the idea of one God, which was not original with him, but which had existed for thousands of years among the jews and for hundreds of years among the Christians, and instead of recognizing that that God was a God of Love, and was the loving Father of all his children, declared that God hated all but muslims. The he went further, and declared that muslims had a duty to wage jihad against all non muslims until they were defeated and killed or enslaved or made second class citizens. He created a system designed not to bring people closed to God, but to impose political power and laws upon them. For instance he declared a law that all muslims who left Islam, were to be killed, and anyone who insulted him or Islam was to be killed. He ordered various assassinations. He declared laws that subjugated women to men. He invented all sorts of political legal rules. He used his political ideology to make himself in effect King of Arabia, and his successors used it to attack, conquer and plunder North Africa, Iraq, Persia, the Holy Land, Spain, and parts of Eastern Europe, Afghanistan, and India. At the moment islamic terrorists have waged more than 27,973 deadly islamic terrorist attacks worldwide since the murder of 3,000 Americans on 911. Sharia law is against freedom of speech, of the press, of artistic expression, of religion, equal protection of the law, and due process of law. It is, in fact, a subversive doctrine and ideology. We have no business treating a political ideology that seeks to subvert our constitution as a religion. What we need is a constitutional amendment that declares that since Islam is a political ideology that uses religion to subvert our constitution and freedoms, Islam is not a religion and will not be treated as a religion within the meaning of the constitution and laws of the U S or any state or possession thereof, and that Sharia law will not be enforced or recognized in the U S or any state or possession thereof. This would not make Islam illegal per se, but it would deprive it and the terrorist organizations it often supports of tax free status and it would deprive it of the ability to claim religious discrimination every time one of its efforts to impose sharia practices is opposed. As a Floridian, and American, there is but one emotion this traitor in the Florida legislature brings to the surface. Anger that will become words in a letter to him and the newspapers. There is no difference between Republicans and Democrats today, they are all self serving rats. But this is a rat that is in my neighborhood, not far off in Washington. Great comments, I agree. UTT is a source of factual information. I believe the constant suggestions by various media sources and guests that Islam is hijacked by violent extremists, and say as if it was factual, that nothing in the doctrine suggest a relationship with jihad terrorism works only when the news/ politicians allows lies to prevail. So the door was opened to a non- religion and the only thing that was hijacked were the communicators truthfulness. Our source of information has been subverted along with the leaders who continue the lie. A word I don’t like, but how else to you define a situation where the words are written in a Quran and the Reliance of the Traveler, (Sharia law )to slay Christians and Jews to install Islam and sharia. To know that this religion forbids the truth to spread islam and it’s all part of the sharia doctrine. So partner with a muslim for accurate information…..about jihad is a very clever command in the doctrine to not expose jihad and the chances for information… are not too good. Kindness and open societies are extremely vulnerable because they use our laws against society. It is against the U.S. law to have a second form of government to overlay our laws especially a legal system that will remove us…it is urgent, the distractions will wear us down…that is the jiahd of the mind.